While President Trump’s rally in Tampa garnered most of the attention on social media this week, we can’t ignore the lip-syncing firefighters and movement-starting students that also made the headlines. The Twitter leaderboard remained relatively the same as last week. Meanwhile, WFLA News Channel 8 climbed to the #1 spot on Facebook. 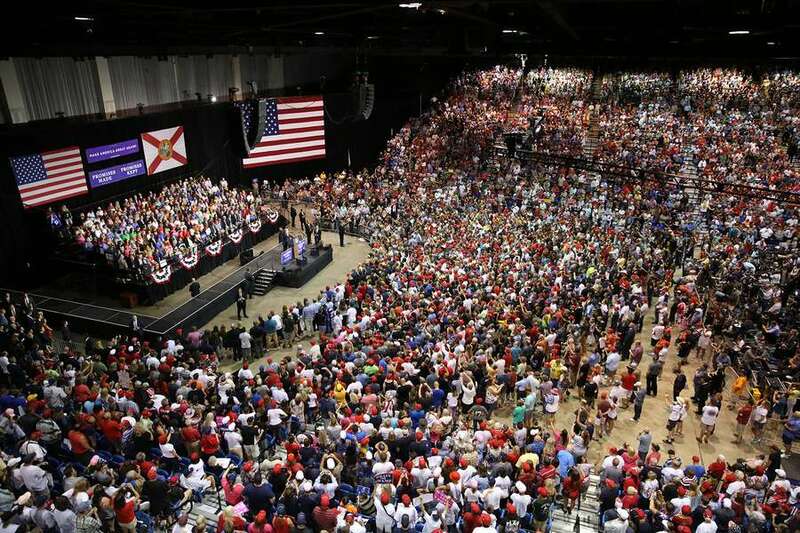 Large crowds gather in advance of President Trump’s rally in Tampa. Could driving in South Florida get anymore confusing? With a new traffic pattern coming to the Dolphin Expressway, it’s possible. When the Orange County Fire Rescue team’s not life-saving, they’re lip-syncing! The Pasco County Sheriff’s Office searches for a 27-year-old missing woman. Nope… There were no TV screens or JumboTrons for people to watch outside of the Trump rally in Tampa. Remember this homeless man from last week? Good news… He landed the job! The dramatic decrease in DUI arrests in South Florida is credited in part to ridesharing services, and millennials. Survivors of the Parkland shooting discuss youth activism and gun violence prevention with Jacksonville high school students. Data was collected from CrowdTangle on Friday, August 3, 2018. It covers the period between Saturday, July 28, 2018 and August 3, 2018.